1994 specification highway marker. Manufactured in 2010. 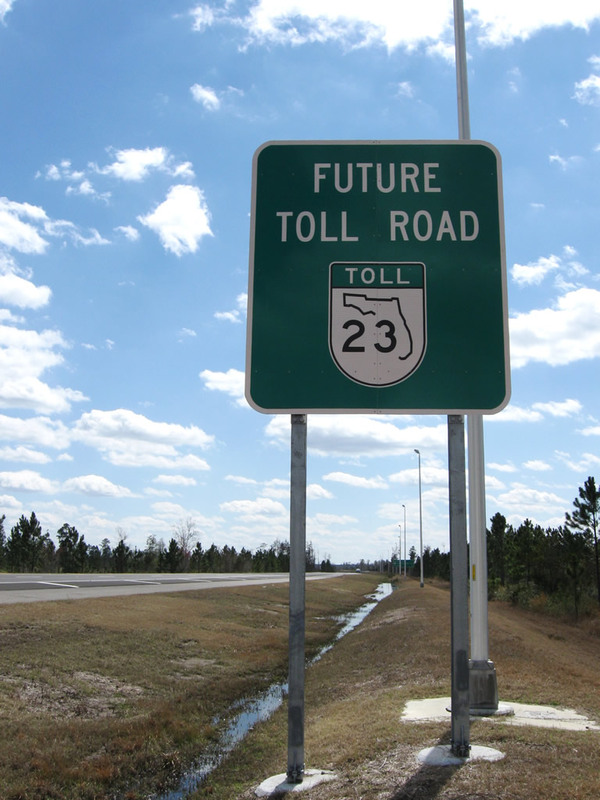 First southbound "Future Toll Road" signage along Florida 23 south of its current northern terminus with Interstate 10 at Exit 350.